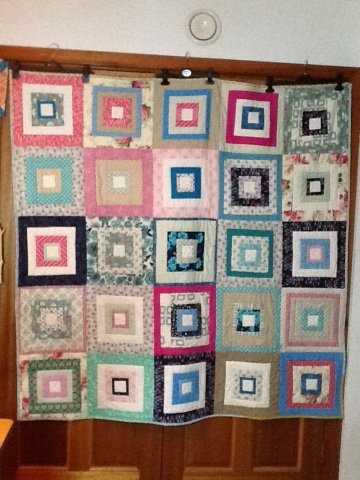 The block is made from 4.5" squares, and finishes at 20" or 20.5" unfinished. Any colour combination is fine but the central block should be dark and can be fussy cut (not obligatory). 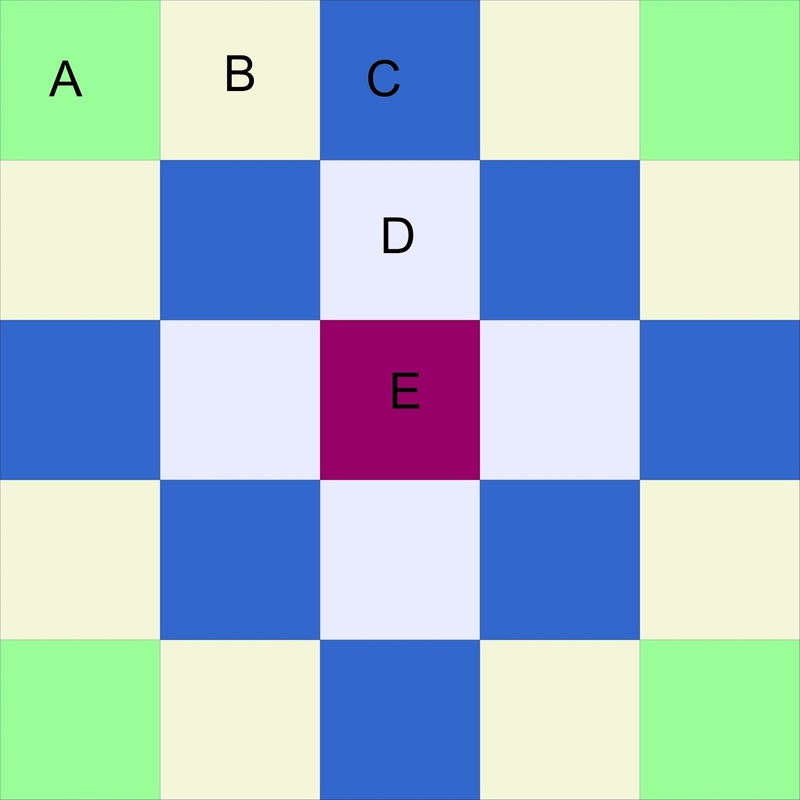 The rest of the layout can be seen in the above diagram. 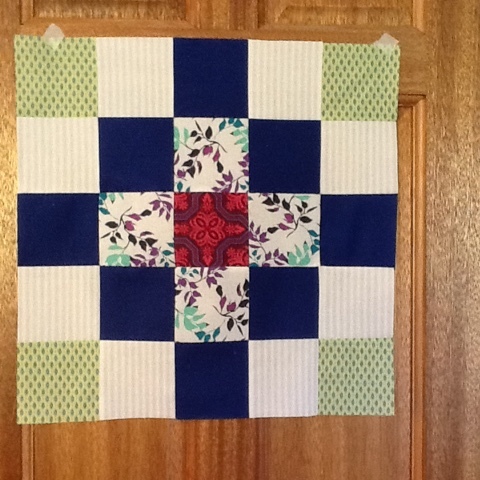 Alternately you can make this from 4.5" X 18" strips and cross cut the strips. 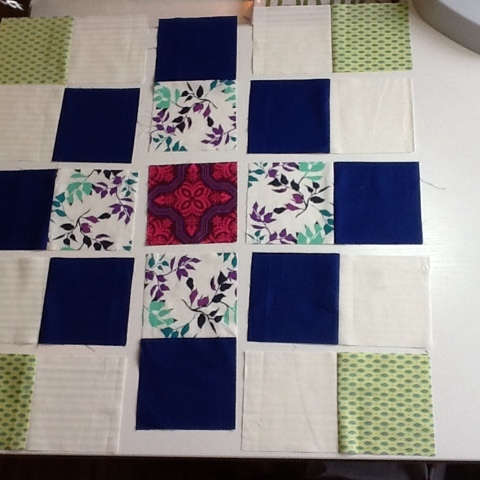 Press strips and crosscut at 4.5" intervals - you should have four units of each strip set. Stitch centre single row and then both double rows on either side. 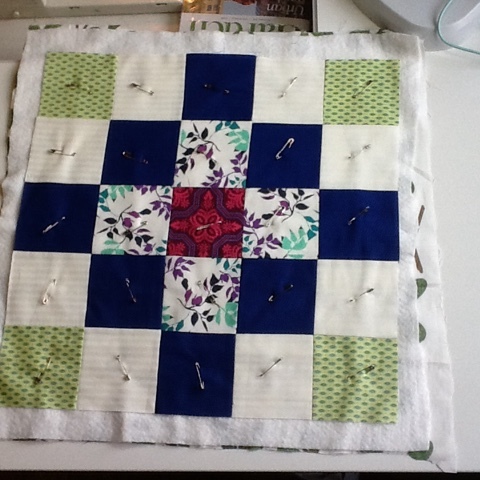 Then stitch the central row to each side. 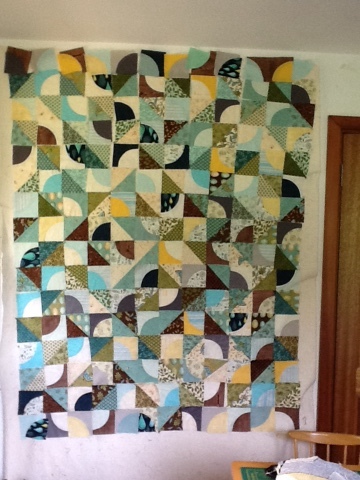 The block is complete and should measure 20.5" unfinished. 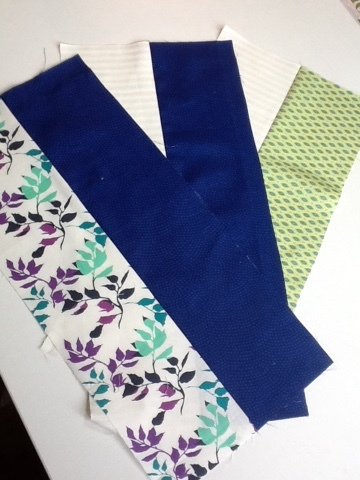 Layer with a 22" piece of wadding and backing fabric (something Low Volume please) and baste. 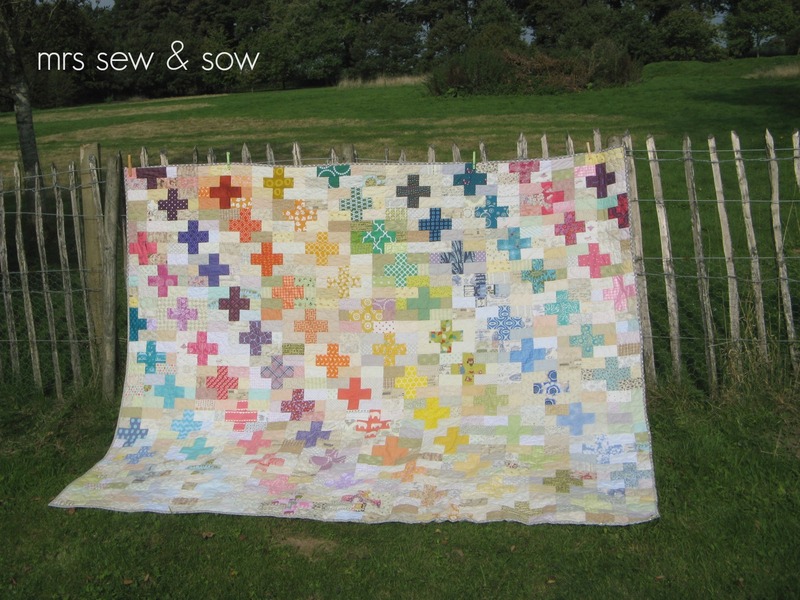 Stitch in the ditch (the seamline) in a grid pattern or any other pattern you prefer. 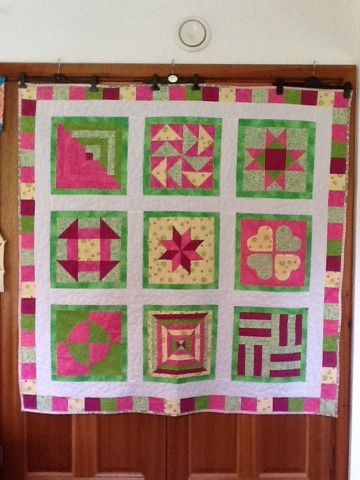 This sampler quilt started as a top gifted from a friend and I have quilted and bound it. 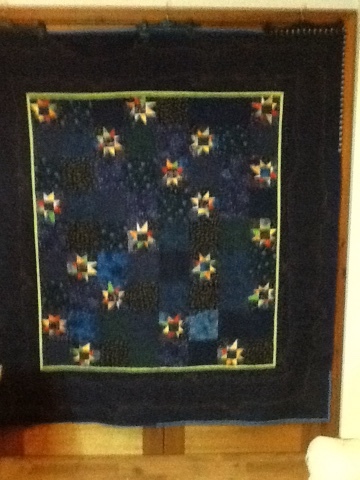 This quilt started as a medallion centre from the lovely Catherine - I added rows around it to make it a bit bigger then quilted and bound it. 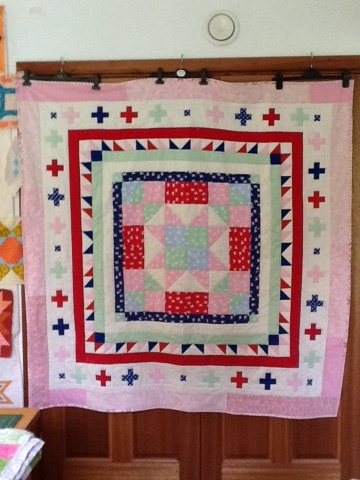 This quilt started as blocks and strips of fabric donated by Sally. I had the pleasure of meeting her in real life at Stitch Gathering recently. 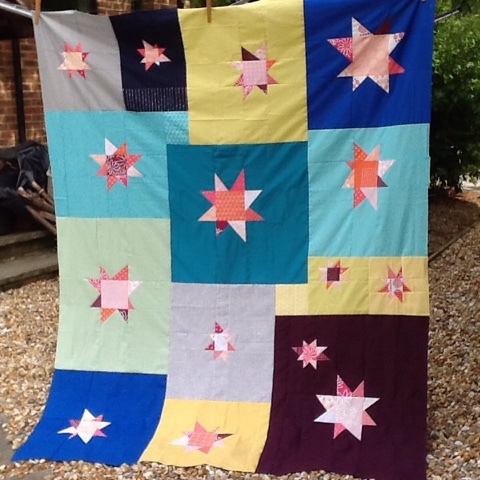 The fabric for this quilt came from the very generous Emma - the pattern from the Moda website. 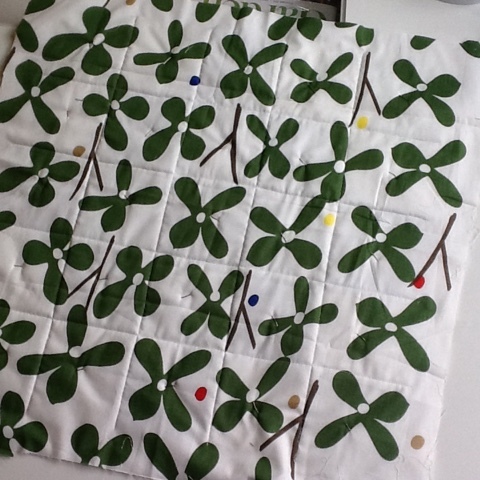 And this one was a series of blocks and pieces to make the blocks - both of these from the lovely Gayle Brindley. 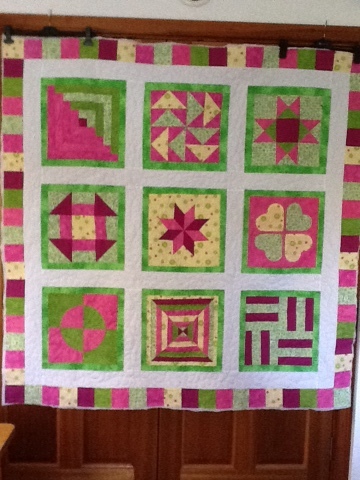 So what were once scraps, as in orphan blocks and bits of fabrics are now made into six quilts for Siblings Together. That has been a great start to my quarter four I think! 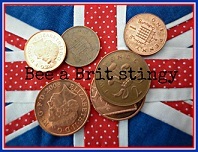 Stingy Bee - how I love you and what you do! I have become a lazy blogger but ever present on Instagram (IG: nickyeglinton) if you want to catch up with my photos and work in progress. I have to say I love my bees - it sometimes takes a while to find a place where you feel comfortable but I think it is worth the effort. Sometimes I have drifted through, loving the experience, and 'meeting' new people, but often because of circumstances it hasn't been a good fit. I was even crazy enough to enjoy five bees at once - I won't do that again! 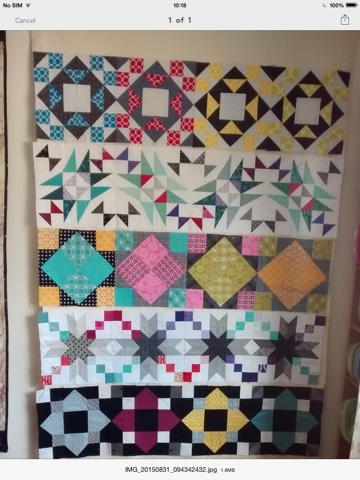 Too many bee blocks to make in a month, and send to all parts of the world. 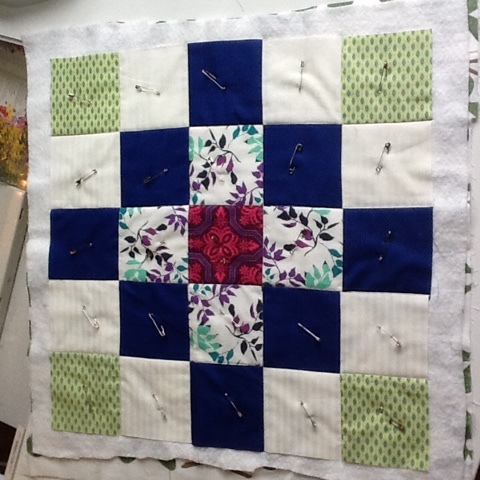 Also too many quilts going at the same time! Don't laugh! 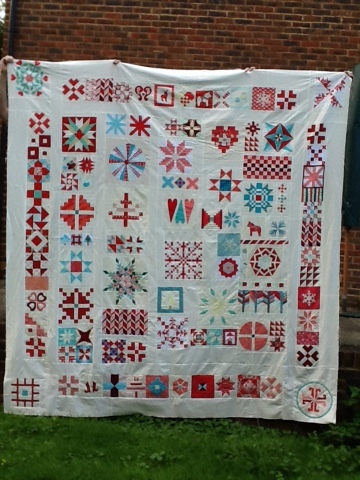 I know I'm making lots now but they are not for me to keep. 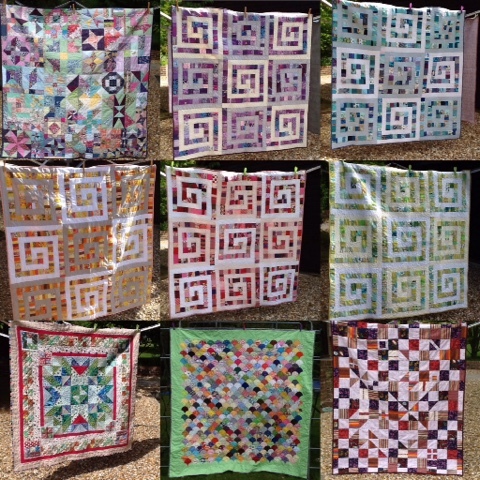 My quilts with Stingy Bee - or Bee a Brit Stingy (official title) - have been fabulous, each one! I am very excited about this one! A Year of Scraptastic Tuesday - October winners! 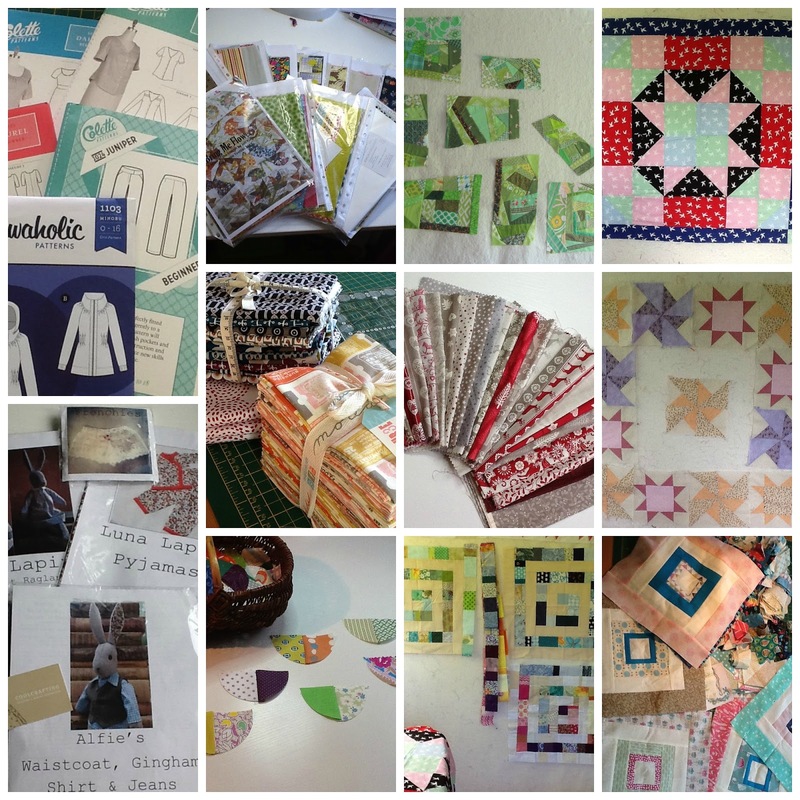 So have you been busy scrapping this month!? 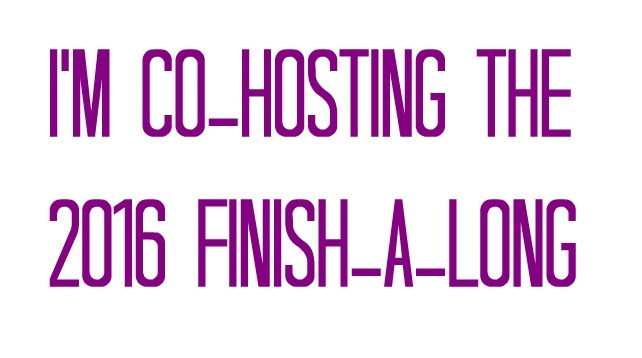 Leanne and I have now been running this linky party for a whole year .....I find it hard to believe! Do you? 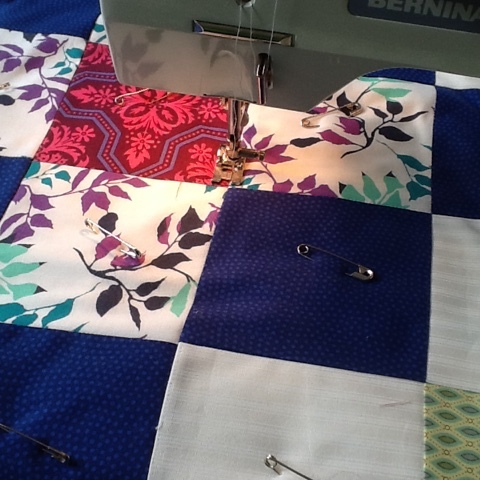 It has been so inspiring for us and I have made lots of scrappy quilts during this time. 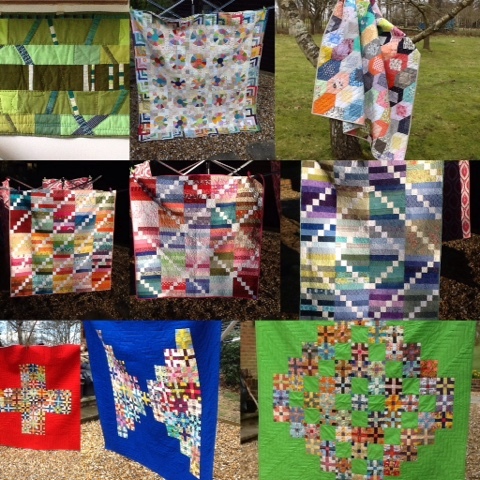 I seems quite amazing to realise I have made so many but then I had help with quite a few! 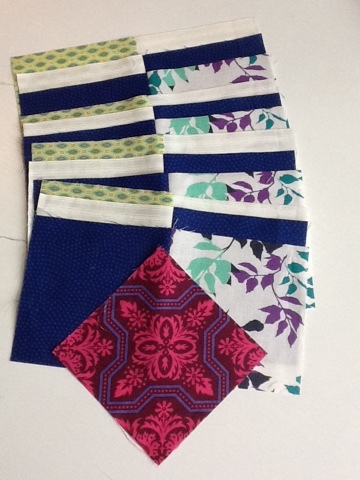 And some started before our linky party but I finished them during. 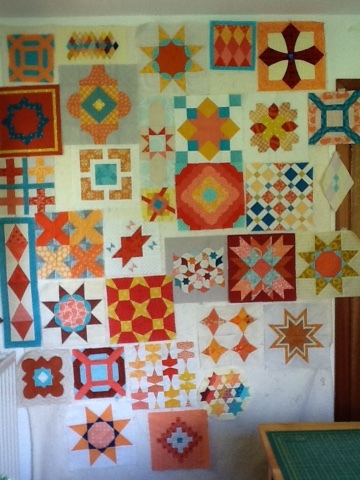 With so many quilts you would think I wouldn't have any scraps left but the truth is I seem to have more! How does that work? It's a busy work day today, so winners, please watch for an email later on to get you matched up with your prizes. 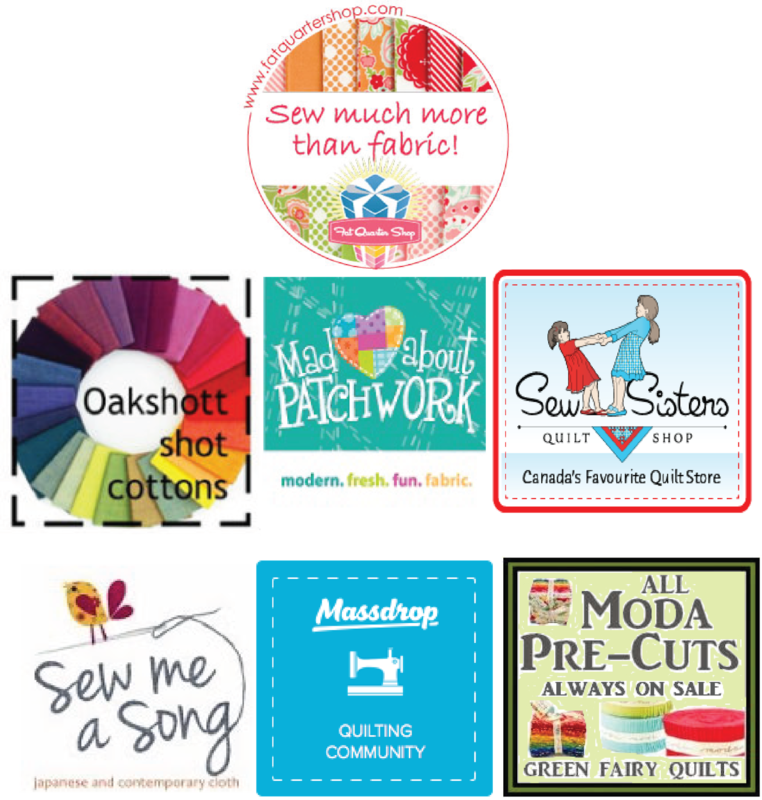 Please plan to join Leanne from She Can Quilt and I for the November Scraptastic Tuesday Link Up on November 10, which will be the second Tuesday in November. Well I don't seem to have finished anything in Quarter three so I am reposting my previous mosaics/list and hoping for a bit more success this time around. To be honest I think I finished so much in Quarters 1 and 2 that I wore myself out! 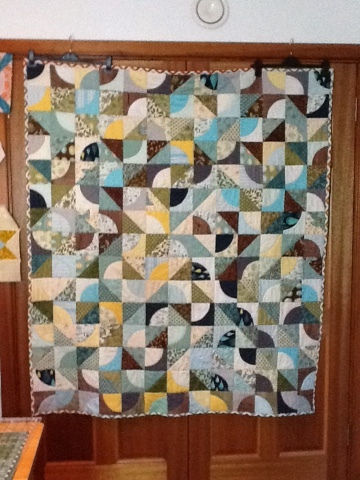 The main ones I want to finish are my UFOs – Vintage circles and Nordik. 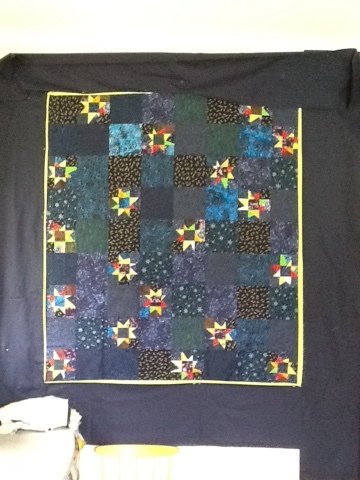 I did get the tops finished in quarter three and that was a major achievement but now that I'm really happy with both tops I'm feeling a bit tentative about quilting them. 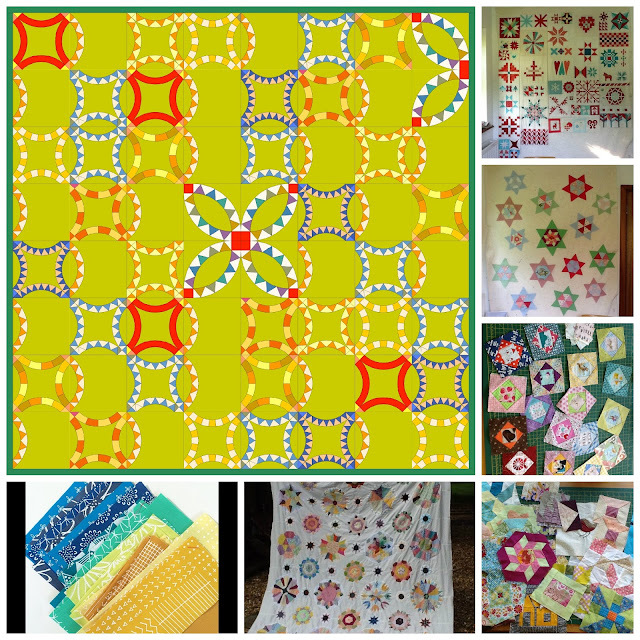 I'm also adding a few projects below to the already long list....A couple of bee quilts, a few newish starts and more tops or partial projects donated by supporters of Siblings Together - together we are completing ufos and making them into something useful. I feel very happy about that. 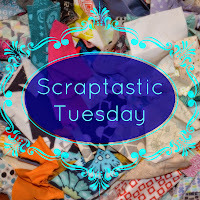 Scraptastic Tuesday - October link up please! I'm sorry to have been missing for a while - life got in the way and something had to give - it turned out to be my little blog here! 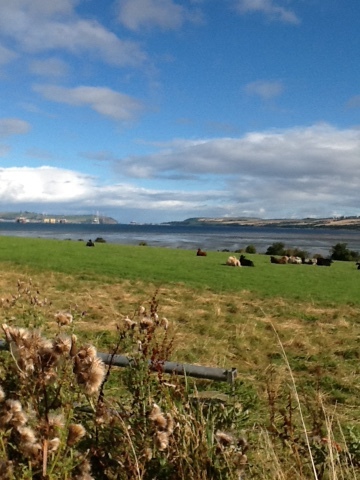 One of the life issues, was taking a little break from England, and venturing North to my Mother country of Scotland. 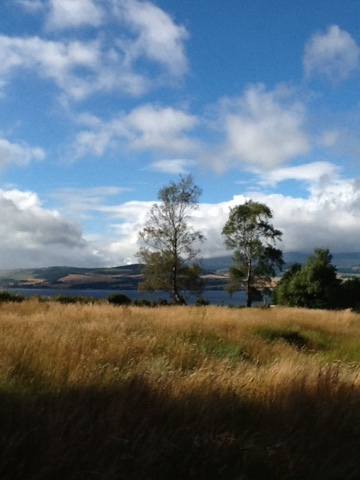 It is a breath-takingly beautiful country and I do miss it's rugged nature. The part of England I am in, is a lot tamer, but still lovely - it's just not what I was brought up looking at. 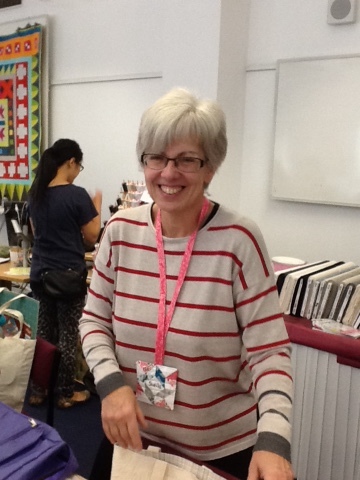 I managed to fit in a bit of visiting and attending the one day stitching retreat that is Stitch Gathering, beautifully run by the very lovely Jo and her fabulous team in the fair city of Edinburgh. This was so much fun that I'll definitely be wanting to go again next year! A highlight for me was meeting up with this lovely lady! Yes it is Sheila - I've only been running a bee with her for just short of three years and this is the first time we have met. I have only one lady in the bee to meet face to face and she should be warned I am on the case! 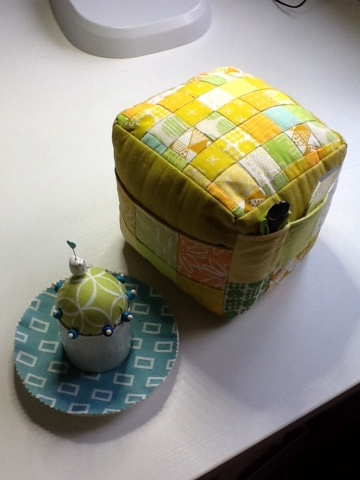 ....using my citrus coloured Karen Lewis Textiles scraps! I am celebrating two lovely friendships in one item! 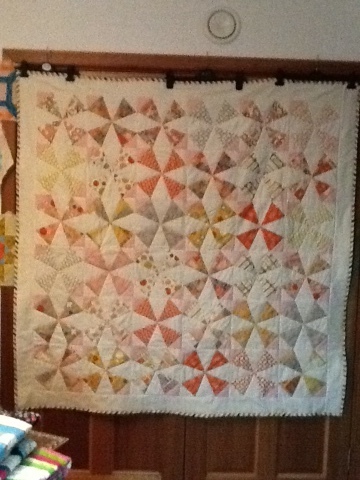 I love it and am enjoying using it along with the one Sheila made for me when our bee started out! The teacup pinnie was a fabulous gift from Sheila. One link per person, and it will be your entry into the random draw for the prizes. 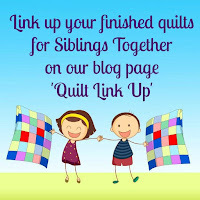 It is the same link up here and at Leanne's blog - so you only need to link up on one of our blogs.